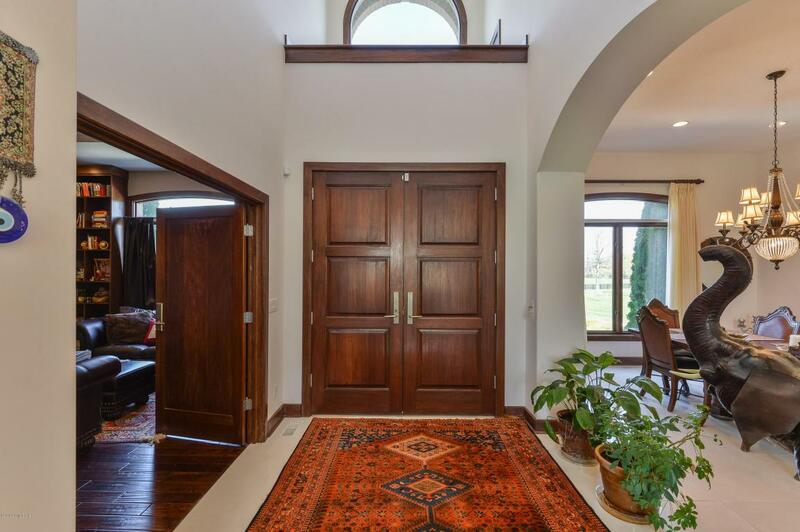 Estate Home located on 2.998 acres in prestigious River Glen. Within minutes to Gene Snyder Freeway, and Downtown. 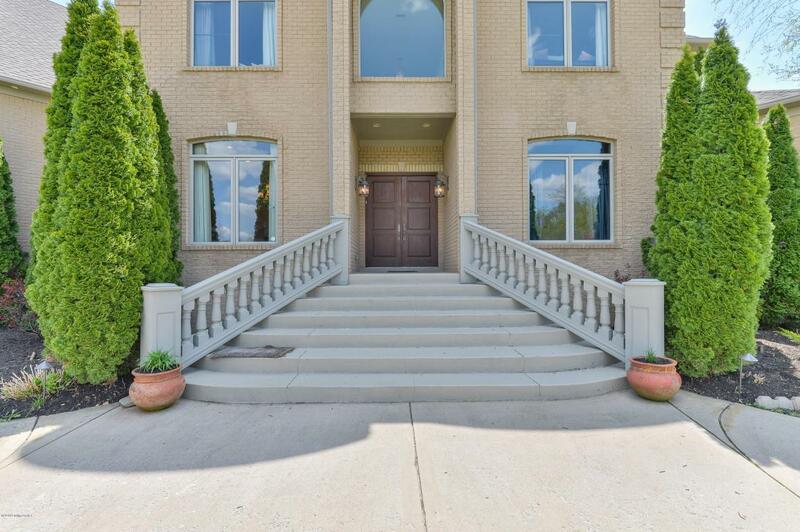 This home features over 9819 total sq. ft. finished, a 2 story Foyer, and the study features a three-sided fireplace, with custom built in bookcases. 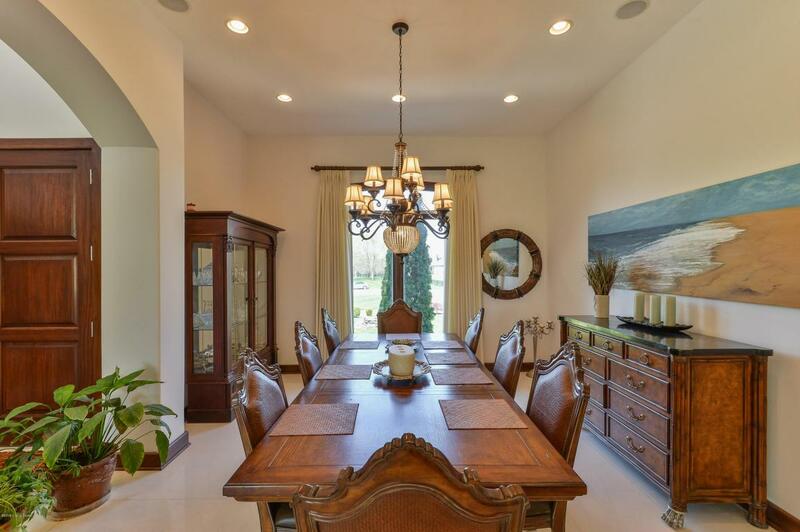 There is a formal Dining Room, and formal Living Room which features a water fountain feature. The Living Room flows into a Large Kitchen with custom cabinets and granite counter tops. The home has a second kitchen which is prefect for entertaining. The Hearth Room off kitchen has a gas fireplace and lots of windows which give plenty of light. There is a rear staircase off the Hearth Room and a First Floor Laundry Room. The second Floor features a Master Bedroom with a sitting room, fireplace, and Breakfast Bar. The sitting arealeads out to a three season-glassed sunroom. The Master Bedroom has three walk-in closets, and craft room. Three additional bedrooms with their own private bathrooms are also located on the second floor. The basement is a large open basement with a recreation room and family room, Theater room with tiered seating, and a large work-out room or 6th Bedroom and Full bath. There is a large Covered Patio overlooking a treed back yard. There is room off the covered porch which is plumbed in for a future full Bathroom or could be great for a future pool. There is a Three-car garage and a large flat backyard. This home is located on a cul-de-sac.